« Bulletin Board Ideas – A Tasty Table Setting! As promised here are the custom brooches I had been working on, all finished now! And as promised, this post will be dedicated to teaching novice embroiderers some basics in needlework. 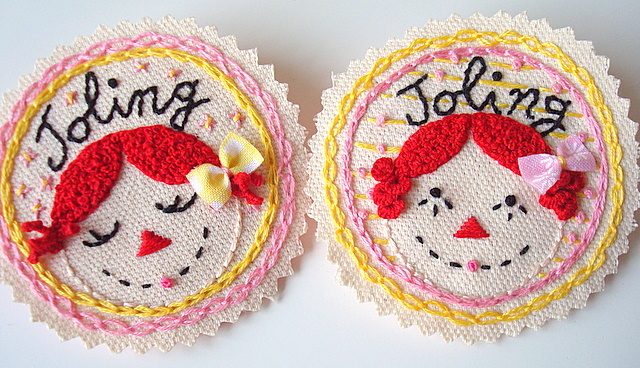 The first stitch lesson is learning the back stitch, this stitch is the one I used to embroider the names on the brooches. 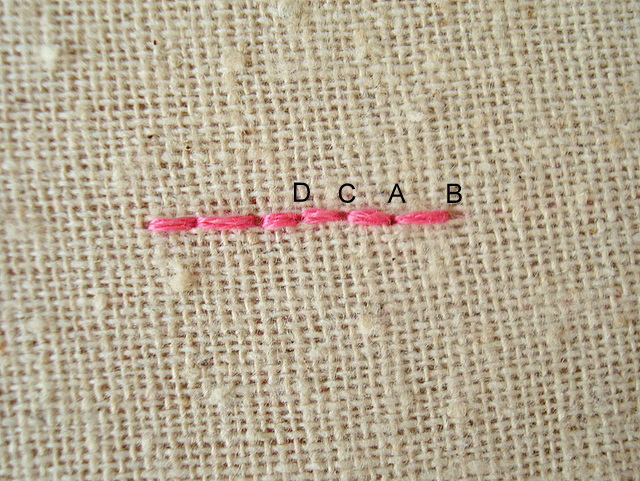 It’s the most basic stitch and it’s the most commonly used on embroidery patterns. Step 1: You can start by drawing a straight line on some fabric. Bring your needle from the back to the fabric’s front at A. 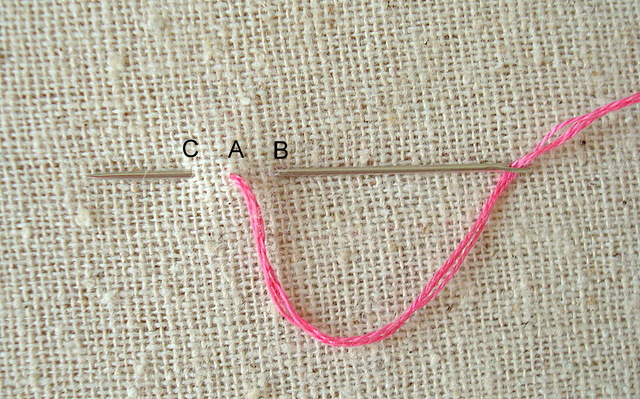 Step 2: Take your needle to the back at B and then have your needle re-emerge at C. Be sure that the lengths between A and B and A and C are the same. This will allow each stitch to look consistent with one another. 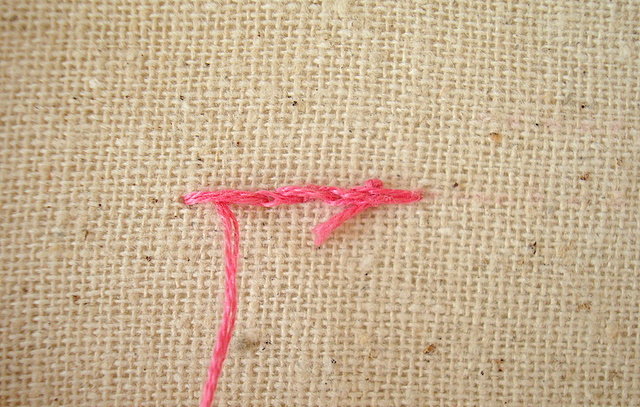 Step 3: Pull the embroidery thread all the way through. 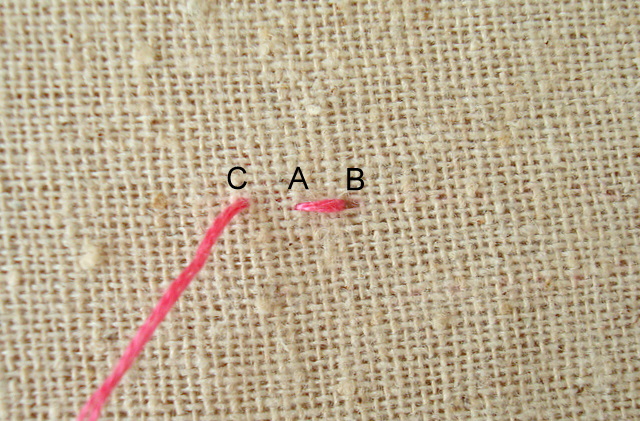 Avoid pulling your thread too tight since this will cause the fabric to bunch. 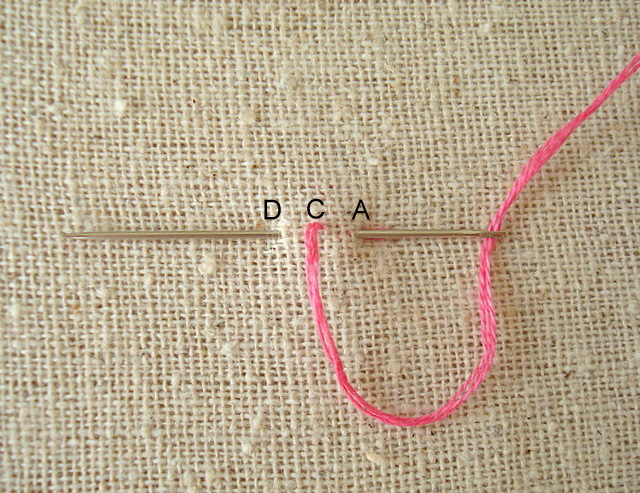 Step 4: Now take your needle back to A (through its same hole) and have the needle re-emerge at D (same way as Step 2). Again, be sure to keep the stitch length consistent. Repeat Steps 2-4, taking your thread back and then re-emerging. The key to a good back stitch is that your needle always enters the exact hole from the last stitch. If not, the stitches may look disconnected. 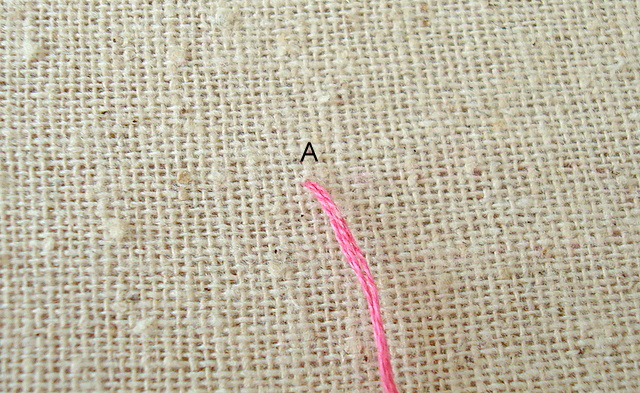 Another good clue that you’ve mastered the back stitch is looking at the back of your fabric. The opposite side of the stitching should look neat. You’ll notice that the more you practice, the neater that back side will become. Neat, huh? Ready to practice? 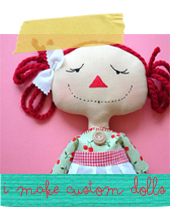 Here are some free embroidery patterns to get you started!